Redneck Fourth of July. I am sure you have heard of the term before. To me, this means driving into the Frank Church River of NoReturn Wilderness from highway 21 on the forest service road 579 and into what was my favorite campground at the time. Dagger Falls Campground on the Middle Fork of the Salmon River provided these “fireworks”. The fireworks were Chinook Salmon that were traveling back to their spawning grounds from the Pacific Ocean and used their last bit of energy to jump up Dagger Falls itself. Year after year my family would travel to spend the 4th of July at the falls and the “fireworks” jumped up repeatedly until they could make it to the pool of water above the three tiers in the falls. My father taught me at a young age that these anadromous fish fought the current of the river to spawn and during that time of the year, we would find dead carcasses in Bear Valley Creek where my parents loved to fish. In my adult life I have had the opportunity to study and advocate for the Salmon species in the Salmon River Country in multiple capacities. 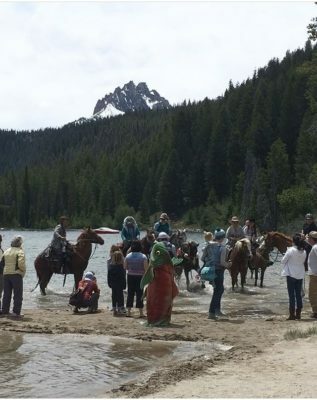 I educated the public about the Sockeye, Chinook and Kokanee species that live and reproduce in the many lakes, creeks and major river in the valley through my internship with the Sawtooth Interpretive and Historical Association in 2015. I then went on to rear (or raise) Snake River Sockeye Salmon at the Springfield Hatchery which are released during smolt stage in Redfish Lake Creek, usually in April of each year. Since then, I have returned to the Redfish Visitor Center and worked closely with Idaho Fish and Game,Ride for Redd and Idaho Rivers United to farther educate the public about the issue, encourage people to start talking about it around the nation and the drastically low returns in 2017 specifically. 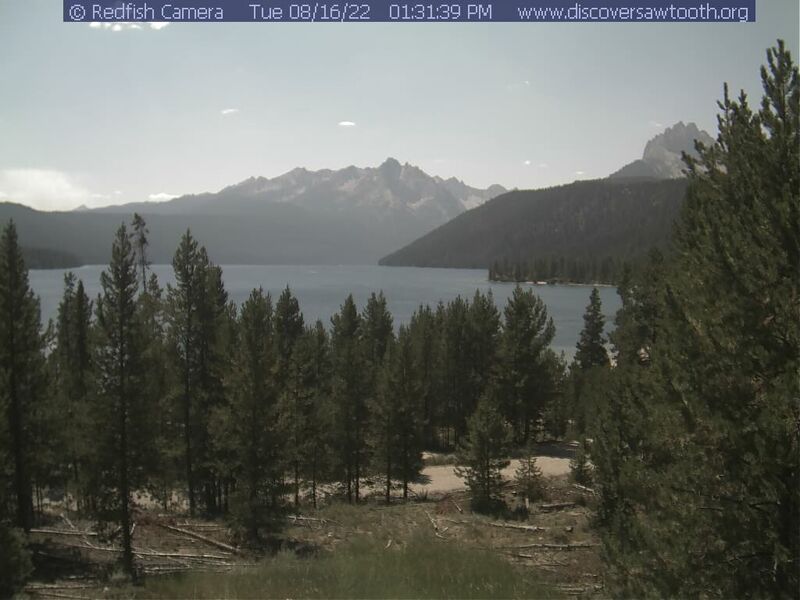 The Sawtooth Association gave me the training and education that lead me to understand the era of Lonesome Larry and how we have worked toward patching the tragedy at hand in 1992. I learned an in depth version of the amazing cycle of their lives and why they are so important to this place we here in Stanley call home. The most impactful thing to me and what made me so incredibly passionate about this species is the adrenaline rush they provide for the Salmon River Country and back into the Sawtooth and White-Cloud Wilderness. According to the Wild Salmon Center, “Salmon are the biological foundation of river ecosystems”. Here in the Stanley Basin, there are many ecosystems that thrive from the boost of oceanic minerals when the salmon travel upstream from the ocean back through the Columbia, Snake and Salmon Rivers. Once they spawn the next generation of fish, they die and either become part of the soil, water or an animal sustenance. This region is stale with beautiful granite which does not provide a stable ground for vegetation growth. In addition, our growing and decomposing season is very short, most of the time a mere two or three weeks. With those factors along, the adrenaline the plants and animals get from oceanic minerals is a huge success for this area. Without the return of the salmon, the Salmon River Basin will not be the same chemically and eventually esthetically. red eggs hatch and become fry. At the fry stage, we monitor their yolk sacs and their transformation to swimming up to the surface for their first gulp of air. At that time, they get transported into a vat or a long above-ground single directional flow “tank”. At that time they are able to eat and are fed very small rations that increase every few days. I was lucky enough to work with two different broodstocks, or cycles of fish. The pre-smolt and smolt aged fish live in the outdoor vats which are built into the ground and also have directional flow. We spend time cleaning the vats and feeding the fish. 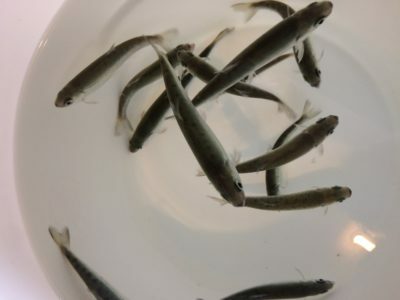 Every spring, they are released at pre-smolt/smolt stage. We are able to release the fish in the stream or river they are released in because they are imprinted to a spe cific location.This means they begin to collect sights and smells on their way down the river and into the ocean. They use their imprinted memory to return to the same stream or river two to five years later. 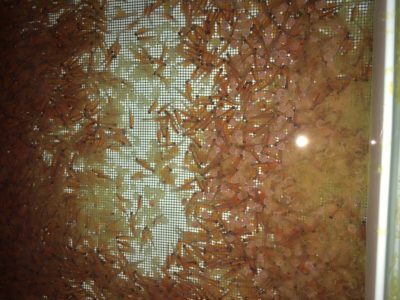 Upon their return, they spawn to regenerate the salmon population. Once they have completed their life cycle, they die and pass their oceanic nutrients to the valley. 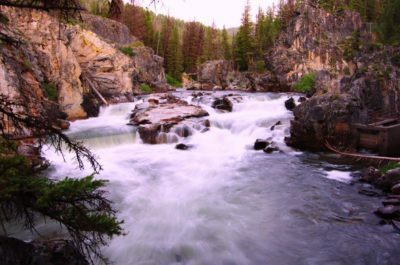 about how to increase the rate of return here to the Salmon River Country. The Sawtooth Association also works very closely with Idaho Rivers United on a yearly basis. They are strong advocates for Idaho rivers and work towards removing four dams on the Lower Snake River. In conjunction with them, we celebrate the history and culture of salmon in this area. On August 26th, 2017 we are putting on our annual Salmon Festival. We will have music, family friendly games and will be talking about the issues at hand with the public.At the end of the day, we offer a delicious salmon dinner catered by The Redd, a local restaurant in the area. You can purchase your dinner tickets at the Redfish Visitor Center, The Stanley Museum and https://www.idahorivers.org/new-events/2017/8/25/sawtooth-salmon-festival. Please join us in our efforts to continue to educate and spread the word!